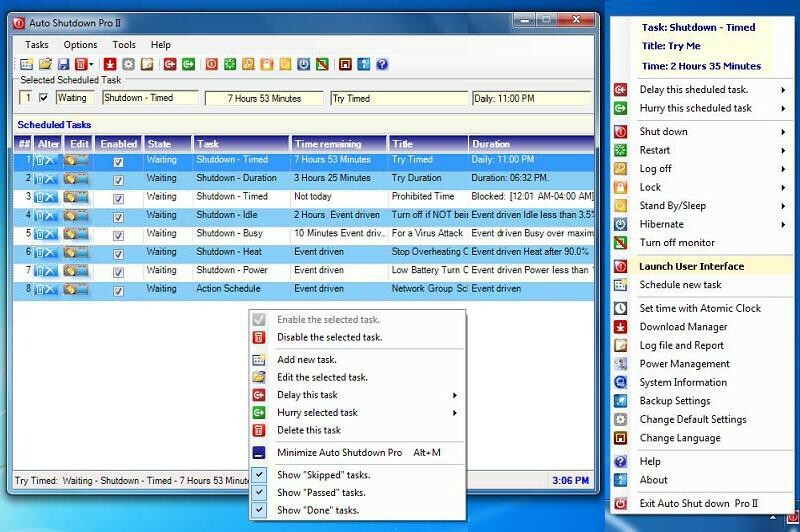 Auto Shutdown Pro II is a computer management tool, that will double the life expectancy of a computer while saving electricity. It handles shutdowns, sleeps, power on, restarts, logoffs, locks, hibernations or turning off the monitor. Scheduled events are time, duration, busy, idle, heat, power, or blocked time. Savings far exceed a computer's initial sale price. Faronics Power Save is an effective and reliable tool that can control and manage energy throughout an enterprise. Power Save Mac is an effective and reliable tool that can control and manage energy throughout an enterprise.